Arrive & transfer to Super Deluxe Houseboats. After lunch Shikara tour on Dal-Lake. Dinner & overnight at the Houseboats. After breakfast ½ day tour of Mughal gardens. Lunch at the Houseboats. Afternoon ½ day tour of Srinagar city visiting Fort, Shah-Hamdan Mosque, Jamia Masjid etc. Dinner & overnight at the Houseboats. After breakfast full day tour to Pahalgam en route visiting Awantipore Ruins. Pack lunch at Pahalgam. Return in the evening to the Houseboats. Dinner & overnight at the Houseboats. 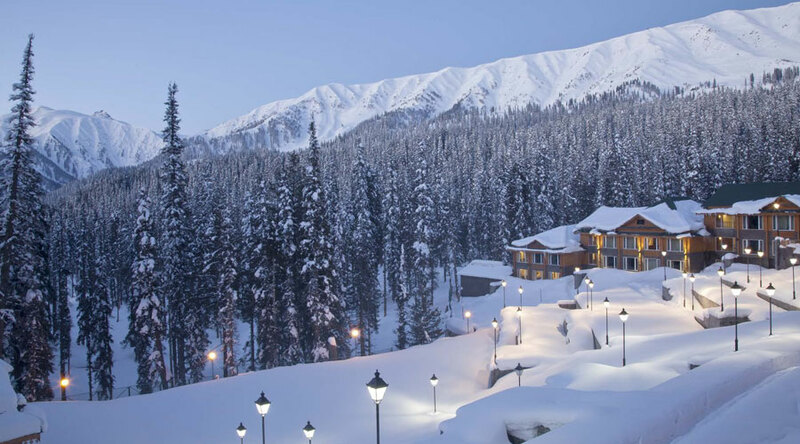 After breakfast full day tour to Gulmarg. Pack lunch at Gulmarg en route visiting typical farmer villages, return in the evening. Dinner & overnight at the Houseboats. After breakfast full day trip to Kherbavani Temple , Manasbal Lake & Walar Lake . Pack lunch at Watlab. Return in the evening via Rosabal Shrine (Jesus Christ Grave). Dinner and overnight at the Houseboats. After breakfast in the houseboat, we depart for full day drive to Kargil via Sonamarg. Sonamarg, which means Meadow of gold, has its backdrop of snowy mountains against a cerulean sky. The river meanders along here & abounds with Trout & Mahseer. Sonamarg’s importance lies in the fact that it is the last halt on the Kashmir side for the drive from Srinagar to Leh. After Sonamarg the road is steep and mostly rough till Zojila Pass (3527 mtr), known as (Gateway to Ladakh) We continue drive towards Drass, second coldest place in the world after Verkhoyansk in Siberia , Russia . Here we stop for tea and passport check. Another two and half hours drive will take us to Kargil. Overnight at the hotel. After breakfast we leave for Leh (capital of Ladakh). En-route we visit Mulbekh the first Buddhist village, Lamayuru the grand old monastery of Ladakh and pass through Khaltse, Saspol and Nimu. Evening we reach Leh. Overnight stay. After breakfast we leave for a full day tour visiting Shankar Gompa, Leh Palace ruins, Spituk and Phyang monasteries. Later in the afternoon after having lunch at the hotel we visit Shanti Stupa and Leh Bazaar. After breakfast proceed for Indus Valley monastery tour. We start with a visit to Shey, the ancient capital of Ladakh. The monastery here has a huge gold-gilded statue of Buddha Sakyamuni with a large silver lamp burning in front of the statue. Then we visit Thiksey Monastery (Gompa), an impressive complex rising tier upon tier on a hill above the village. The monastery has a beautiful 30 m high gold-plated statue of Maitreya Buddha, the Buddha of the future. Drive further to visit the famous Hemis Gompa, founded in the year 1630 by Stag-tsang-ras-pa under the royal patronage of Sengge Namgyal. Hemis is one of the largest and richest monasteries of Ladakh. The two-day festival of monastic dance in July/August has raised the reputation of Hemis particularly high. The festival is dedicated to Guru Padmasambhava, popularly known as second Buddha and responsible for spreading Buddhism in the Tibetan world. Later we visit the Stok Palace , the Royal residence of the King of Stok & the Museum that has a rich collection of Ancient Ladakhi artifacts including old Thangkas, precious stones, arms and armoury, the Queen’s necklace and the crown of the King of Ladakh among others. Overnight stay at the hotel in Leh. After breakfast drive to Mahe village and the road turns left from here towards Puga Valley . The village is an unforgettable scene of hot water geyser (shooting fountain) and white clouds hanging upon. Continue drive to Tsokar via Polokongka Pass (13500 ft.) and visit Tsokar (small Lake ) and one can also visit Thugke gompa. The place is famous for wild Asses (Kiangs), which are generally seen here grazing and moving in groups. From here short drive and reach Leh – Manali road. Continue drive towards Leh via Tanglangla Pass (5329m), the third highest motorable point in the world. Arrive Leh in the evening and check-in at your hotel for overnight stay. After breakfast leave Leh. Arrive Kargil in late afternoon. Dinner and overnight at the hotel. After breakfast Leave Kargil and arrive Srinagar in the evening. Dinner & overnight at the houseboats. After breakfast transfer to Srinagar airport for departure.